The Meditech-shelf robot is an example of top technology. 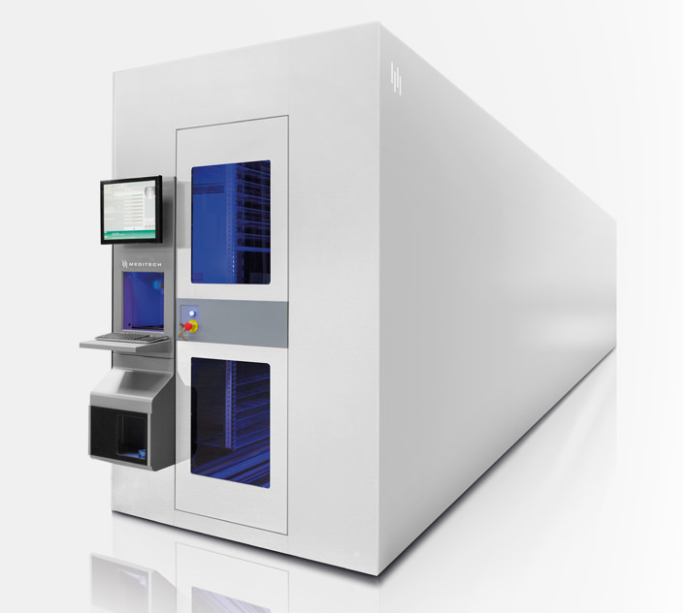 Developed to the highest standards within the pharmacy automation. With the minimal width of the robot, we guarantee the highest possible capacity in minimum floor space. Our latest technology surpasses the needs of the pharmacy automation and offers a wide range of standard features.